In 1881 Herbert Sankey had an 8 bedroom house buildon the corner of Albert Road and Victoria Parade. 7 more houses were quickly erected alongside to create Granville Terrace. In 1887 the first 5 houses were brought by Mr R Stacey and converted to the Hotel St Cloud, in recognition of the hotels high position on the cliff top. Mr Stacey (having spent a great deal of time in France) pronounced the name of the hotel the french way "San Clu"
Little did Mr Stacey know at the time that he had founded that not only an hotel, but a place which, as the years passed, would become very much part of the social and civic life of Ramsgate. A 1904 brochure of the Hotel St Cloud, St Lawrence-on-Sea, Ramsgate, gives a most interesting insight into a middle class hotel of that period. Table d'Hõte Breakfast, Luncheon, Afternoon Tea, Dinner and Bedroom. Baths: Hot 1/-; Cold 6d; Sea Water hot or cold per pail 6d. Dogs charged 1/- per day and not allowed in any of the public rooms. No large dogs admitted, but they can be cared for at the stables. Good stabling and loose boxes, Flys and Private Carriages at a moment's notice. Accommodation near the hotel can be provided for motor cars; petrol obtainable. The Hotel is furnished and decorated in a very superior manner, and with that artistic elegance which appeals to the refined taste. It has upwards of 50 Bed and Sitting Rooms, with spacious Public Rooms viz: Coffee and Table d'H6te Room, Ladies Drawing Room, Reading and Writing Rooms, Smoking Room. The Cuisine, which is made a great speciality, is under the care of famous French and English cooks. Such was the fame of the hotel that in July 1904, after only seven years, the Hotel Chef, Mr Scrivener, was asked to prepare an eight course meal at the Town Hall for the visit of Princess Louise, Duchess of Argyll, who had come to open the Royal Victoria Pavilion erected in memory of her mother, Queen Victoria. Mr Stacey, with his, by now, well-established hotel, entered into the life of the town, and on 15th July 1904 he became one of the first Directors of the 'East Kent Times', which for well over a hundred years was Ramsgate's much loved local newspaper. The changing type of visitor to the south coast was by then looking for more than the ozone and the famous sands. Entertainment was needed. In this field Mr Stacey was a master and he ensured that first class London companies appeared at the Palace Theatre, with Variety at the Pavilion. However, his striking successes with fetes in Ellington Park had crowds from all over East Kent and London making for Ramsgate. One such event during Easter 1912 had no less than twelve military bands taking part, with a great Tattoo in the evening. After the 1914/18 war these and other events, once the sole work of Mr Stacey, were taken over by the Borough Council, but Mr Stacey could well be regarded in Ramsgate as the father of the modern holiday trade. The hotel carried on through the First World War, during which Ramsgate was, according to a book published in 1919 by Chas. A.F. Austin with a Foreword by Horatio Bottomley, MP, the founder of 'John Bull' magazine, 'England's most bombed town'. It stated that the first raid was something of a novelty, but within a few months, the population was halved and visitors thought it safer to stay at home. It must therefore have come as no surprise to everyone that Mr Stacey decided to sell the hotel in 1919 and he soon found a buyer in a Mr Sugden who paid him £10,000. Everything carried on as normal until in 1922 Mr Sugden decided to change the name from St Cloud to San Clu. This was because the local populace insisted on pronouncing it Saint Cloud instead of giving it the French pronunciation 'San Clu'. However, apart from the change of name the hotel saw very little change in the 1920s. Prices were still only £5.5s.0d per week; servants daily 12/6d; a bath was still 1/-; but dogs were now 2/6d a day. The Dining Room was still one of the finest on the coast, but it was the Billiard Room which was the pride of the place, with its fine oak panelled walls and decorations of swords and armour. Its inviting new billiard table was considered one of the showpieces of Thanet. On the night of 26th October 1928 everything was to change when the hotel was gutted by a disastrous fire. For six hours the combined energies of the Ramsgate, Broadstairs and Margate Fire Brigades ensured that part of the hotel and the adjoin- ing three houses, now flats, were saved. Fortunately there was no one in the hotel at the time, as it was closed for redecoration, although due to be opened again at Christmas. The fire was discovered at 2.10 a.m. by P.C. Ford of the Ramsgate Borough Police Force, who went to the nearest street alarm post and gave the alarm. Under the direction of the Chief Constable (Mr S.F. Butler) the residents of the adjoining houses were helped to safety. Furniture was taken into the road and also stored in the Coastguard Station. Throughout the night many people were awakened by the glare which could be seen from Margate and Deal as well as for miles out to sea, and they came in large numbers to watch the brigades in their efforts to put out the blaze. By morning more and more people had gathered and barricades were put across Victoria Parade, Albert Road and Thanet Road. The hotel owner, Major Watkins, who had taken it over from Mr Champneys-Taylor, the third owner, some two years before, was able to rescue some swords from the billiard room. Following the fire, four of the five houses which had formed the hotel were demolished and they have never been rebuilt. Many would have given up at this point, but Major Watkins set to work restoring the one section which was left and within a year it was back in business. In 1935 Mrs Elsie Robson purchased this small fourteen-bedroom hotel. She had been widowed at the early age of thirty-five and had two young sons, John and Peter. She ran the business almost single-handed and even at this early stage of her time in Ramsgate she began to take a keen interest in the affairs of the town. Then came war, and soon after the Dunkirk evacuation she closed the hotel and left Ramsgate for Stafford where she opened a restaurant which, of course, she called the San Clu. The majority of Ramsgate's school children had been evacuated to that town, and for many it became home-from-home. Much could be written of this period of history. Mrs Robson's sons spent the war in the Royal Air Force as fighter pilots. Her younger son, Peter, was killed in 1945, three weeks before the war ended, but John survived and was awarded the DFC. Mrs Robson, who by now was affectionately known as 'Ma'/ spent four years at her restaurant in Stafford - but early in 1944 she decided to return to Ramsgate where later that year she purchased the next two houses and was able to re-open the hotel which soon had forty bedrooms, all with hot and cold running water. A few years later, after a long struggle, the last house was purchased from Vera Wilkie and the hotel was back almost to its original size. So much was to happen there during the boom years of the 1950s. Apart from running the hotel, the Robson family entered into the life of the town. Ma became a Councillor, and in 1953 was offered the position of Deputy Mayor, but declined due to pressure of business. John married in 1950, Betty Geltem, the head receptionist of the hotel, and in 1951 had a son, John Simon, who years later was to take over. John was the organiser of the Ramsgate Carnival for many years and it was at the San Clu that the Rotary Club, Round Table, and many other organ- isations made their headquarters. Memorable events were those such as the presence of Archbishop Geoffrey Fisher at a meeting and lunch at the hotel in 1954 which sealed a partnership of Town and Church. This concerned a large housing estate which was being built at Newington, north of the town, and the result of the meeting and lunch at the San Clu was the founding of St Christopher's Church on that estate. The following year the church had been built and was consecrated by Archbishop Fisher. The famous came, and came again - many becoming good friends with locals. From show business came Dicky Henderson, Bob and Alf Pearson, Norman Wisdom, Jimmy Hanley, John Ie Mesurier and many others. But they came from every field: Hugh Scanlon, John Betjeman, Sir Edward Heath, as he later became, and also royalty from Belgium, Denmark and Thailand. One could go on. However, time goes by and history almost repeated itself in 1973 when in January another fire broke out - this time in the afternoon - and though the damage was great and the hotel was closed to residents for some months, no one was hurt. The residents, one of whom was the MP Jonathan Aitken, were all out at the time. However, Ma was in her room on the top floor, and her dramatic rescue was seen nationwide on BBC Television News as she was taken down the eighty-foot turntable ladder by Sub-Officer Frank Webb. She was then 79 years old. Despite all of this, the bar, though damaged, remained open - the one lifeline giving hope to staff and locals that once again, like the Phoenix, the hotel would rise renewed from the ashes. It re-opened at Easter that year. In 1978, after forty-three years, Ma retired and handed the hotel over to her son, John, and grandson, Simon. However, as John said many times - Ma was still the boss. Sadly, Mrs Betty Robson died in 1980, and her husband John in 1982; then 'Ma' herself followed them in 1984 aged 90. As a result, Simon took the hotel over and appointed Mr John Stewart as General Manager. In 1989 he sold the hotel to Mr K Kanani who still runs the hotel under the Choice Hotels Umbrella. One member of staff has been at the hotel for over 40 years, and quite a few over 15 years, contributing to the family feel that many of our guests enjoy. 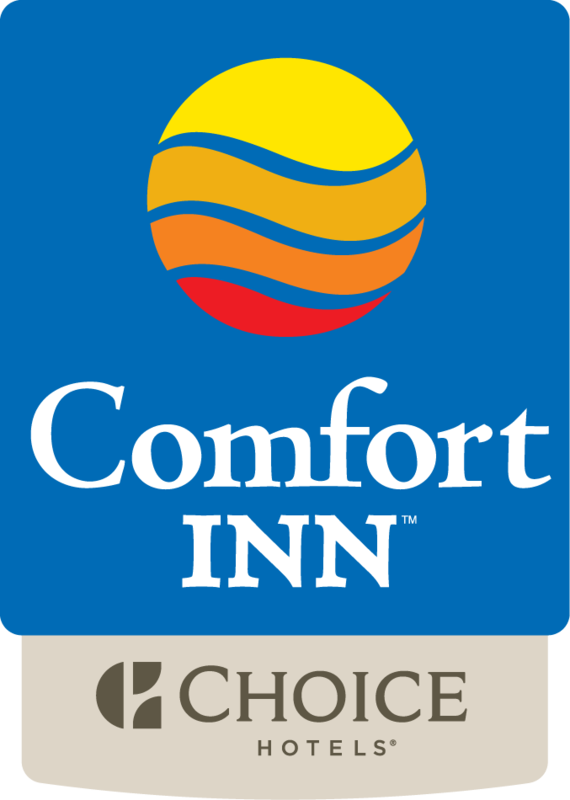 Changing times brought another change of name to Comfort Inn Ramsgate. Under this new name major refurbishment occured, modernising the hotel adding Wifi, Flat Screen TV, Air conditioning and adding a Beauty Salon, gym and a sauna. The hotel still boasts the most beautiful views out to sea and according to previous guests "the best location of any hotel in Ramsgate"
The San Clu will always be the San Clu to the local people and previous guests, the restaurant now bears the name. The Comfort Inn, Ramsgate looks forward to its future and welcoming guests into its own peice of history.